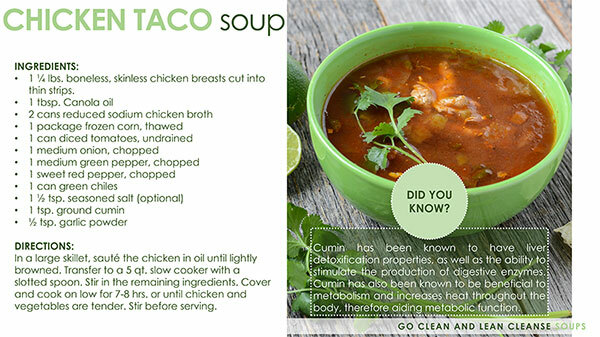 Soup is an easy way to get a lot of nutrients in your bowl at once, and it can be made in large quantities and frozen in smaller portions for a quick meal later on! Kale is a low-calorie food that packs in the protein, vitamins A, C and K as well as minerals. It is also a great detoxifier! Kale has one of the highest levels of antioxidants and can help to reduce inflammation and detox the liver. Sauté the celery, carrot, garlic, onion, and ginger in the olive oil. 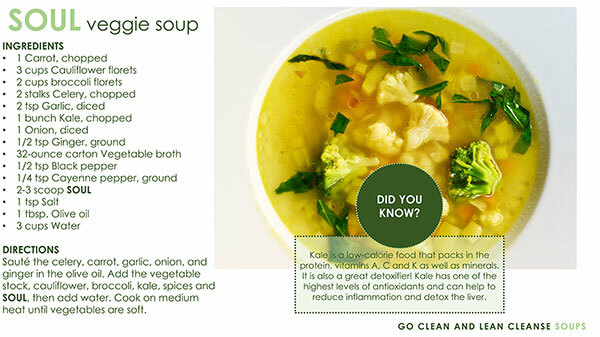 Add the vegetable stock, cauliflower, broccoli, kale, spices and SOUL, then add water. Cook on medium heat until vegetables are soft. Preheat the oven to 400° Farenheit. 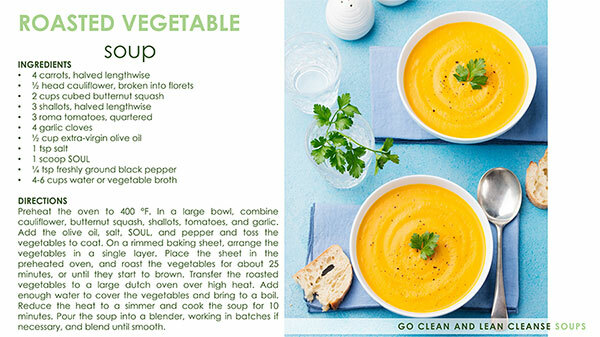 In a large bowl, combine cauliflower, butternut squash, shallots, tomatoes, and garlic. Add the olive oil, salt, SOUL, and pepper, and toss the vegetables to coat. On a rimmed baking sheet, arrange the vegetables in a single layer. Place the sheet in the preheated oven, and roast the vegetables for about 25 minutes or until they start to brown. Transfer the roasted vegetables to a large dutch oven over high heat. Add enough water to cover the vegetables and bring to a boil. Reduce the heat to a simmer and cook the soup for 10 minutes. 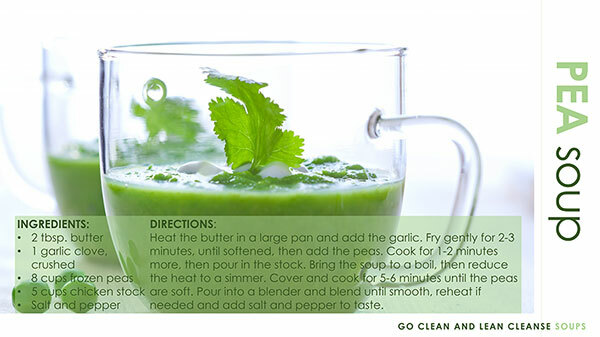 Pour the soup into a blender, working in batches if necessary, and blend until smooth. 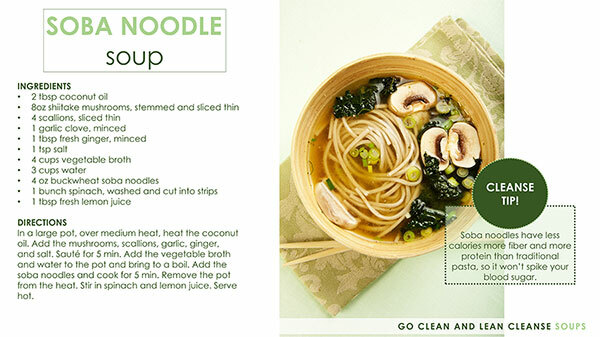 Soba noodles have less calories, more fiber, and more protein than traditional pasta, so they won't spike your blood sugar. Heat the coconut oil in a large pot over medium heat. Add the mushrooms, scallions, garlic, ginger, and salt. Saute for 5 minutes. Add the vegetable broth and water to the pot and bring to a boil. Add the soba noodles and cook for 5 minutes. Remove the pot from the heat. Stir in the spinach and lemon juice. Serve hot. Plunge the tomatoes into boiling water for 30 seconds, then refresh in cold water. Peel off the skins and quarter the tomatoes. Put them in a large pan and cover with the vegetable stock. 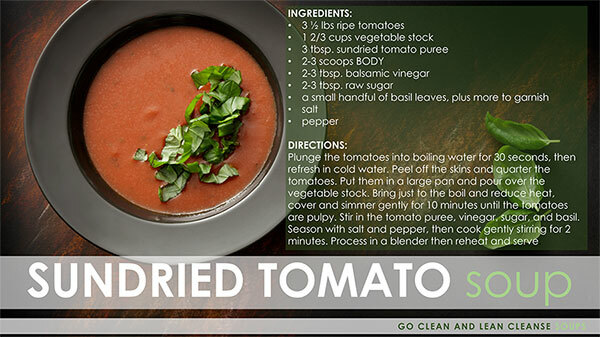 Bring just to the boil and reduce heat, cover and simmer gently for 10 minutes until the tomatoes are pulpy. Stir in the tomato puree, vinegar, sugar, and basil. Season with salt and pepper, then cook gently, stirring for 2 minutes. Process in a blender then reheat and serve. 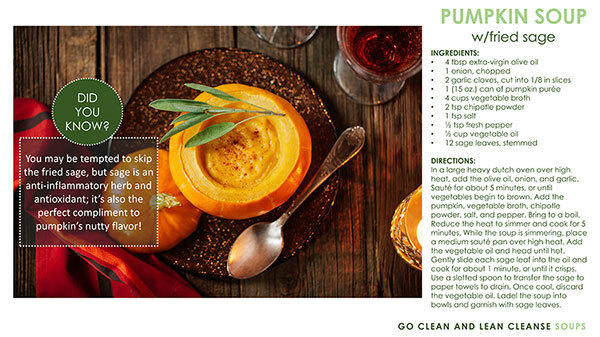 You may be tempted to skip the fried sage, but sage is an anti-inflammatory herb and antioxidant; it's also the perfect compliment to pumpkin's nutty flavor! In a large heavy dutch oven over high heat, add the olive oil, onion, and garlic. Sauté for about 5 minutes, or until vegetables begin to brown. Add the pumpkin, vegetable broth, chipotle powder, salt, and pepper. Bring to a boil. Reduce the heat to simmer and cook for 5 minutes. While the soup is simmering, place a medium sauté pan over high heat. Add the vegetable oil and head until hot. Gently slide each sage leaf into the oil and cook for about 1 minute, or until it crisps. Use a slotted spoon to transfer the sage to paper towels to drain. Once cool, discard the vegetable oil. Ladle the soup into bowls and garnish with sage leaves. Heat the butter in a large pan and add the garlic. Fry gently for 2-3 minutes until softened, then add the peas. Cook for 1-2 minutes more, then pour in the stock. Bring the soup to a boil, then reduce the heat to a simmer. Cover and cook for 5-6 minutes until the peas are soft. Pour into a blender and blend until smooth, reheat if needed and add salt and pepper to taste. Cumin has been known to have liver detoxification properties as well as the ability to stimulate the production of digestive enzymes. Cumin has also been known to be beneficial to metabolism and increases heat throughout the body, therefore aiding metabolic function. In a large skillet, sauté the chicken in oil until lightly browned. Transfer with a slotted spoon to a 5 quart slow cooker. Stir in the remaining ingredients. Cover and cook on low for 7-8 hours or until chicken and vegetables are tender. Stir before serving. 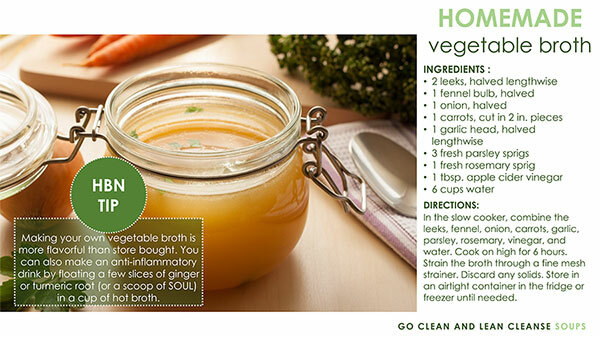 Making your own vegetable broth is more flavorful than store bought. You can also make an anti-inflammatory drink by floating a few slices of ginger or turmeric root (or a scoop of SOUL) in a cup of hot broth. In the slow cooker, combine the leeks, fennel, onion, carrots, garlic, parsley, rosemary, vinegar, and water. Cook on high for 6 hours. Strain the broth through a fine mesh strainer. Discard any solids. Store in an airtight container in the fridge or freezer until needed.